here's my christmas wall for all my friends at MT. 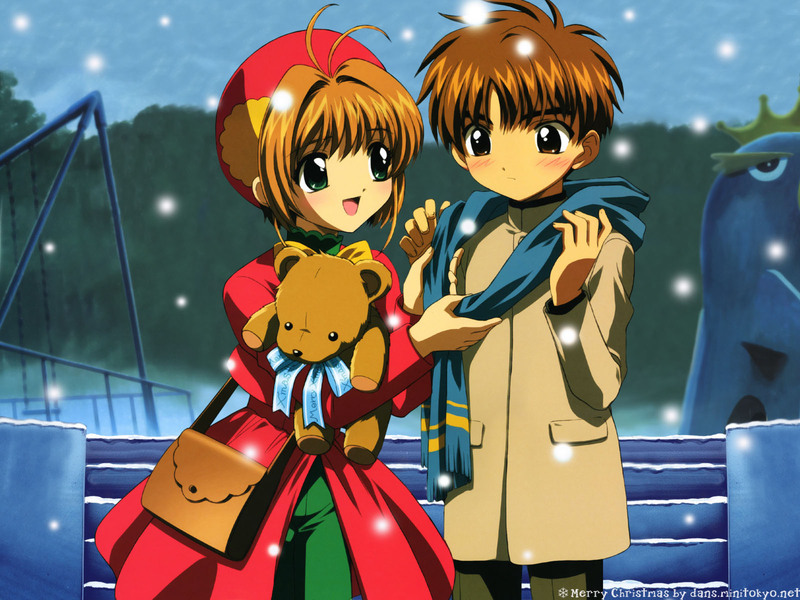 I found another CCS scan at Random, and i thought maybe i could combined it with the scan. so I traced, cleaned, edited, removed the rain, and added a few things on the bg. i asked Nuriko about this, and she said it's okay to upload this to MT. Thanks Nuriko. OMG this is super duper kawaii. i love sakura and Syaoran and this is so sweet and really well done! but anyways.... this is uber cute!! :D love the background, and great job on cleaning the scan!! Very nice! It's so beautiful! Love it! Sakura and Li are soooo kawaii together! Awsome work! Merry Christmas to you too, dans-san! dans~~~ big bro!! This is so darn cute!!! Such a cute CCS wall!!! Quote: well, the bg isn't entirely my original work. sorry about that. yeah^^it's great!!! you combine the two scans, and add the stairs! nice work and merry christmas my friend! Yey!! This couple looks so sweet!! !